2nd Annual ART BATTLE for KIDS! 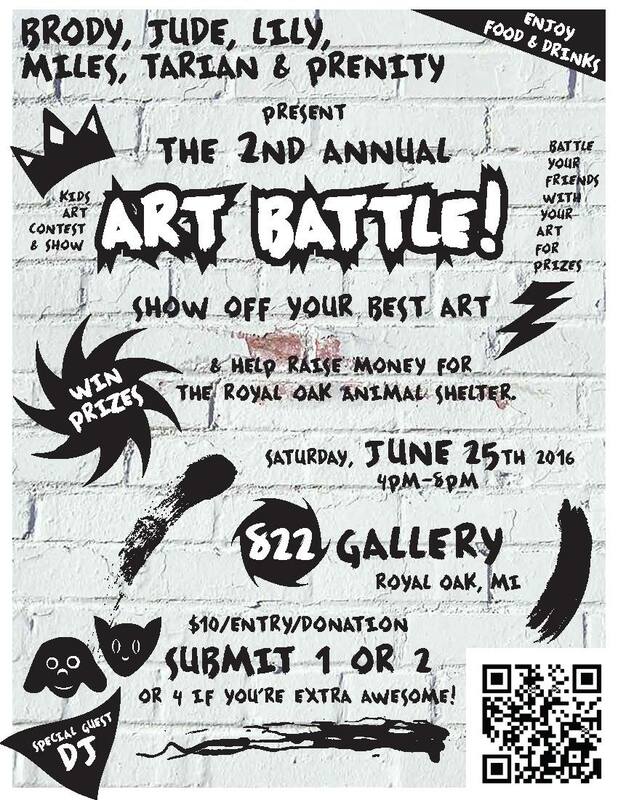 Brody, Jude, Miles, Lily, Tarian & Prenity invite you to participate in the 2nd Annual ART BATTLE for KIDS! Download the ART ENTRY FORM and start making your art now! 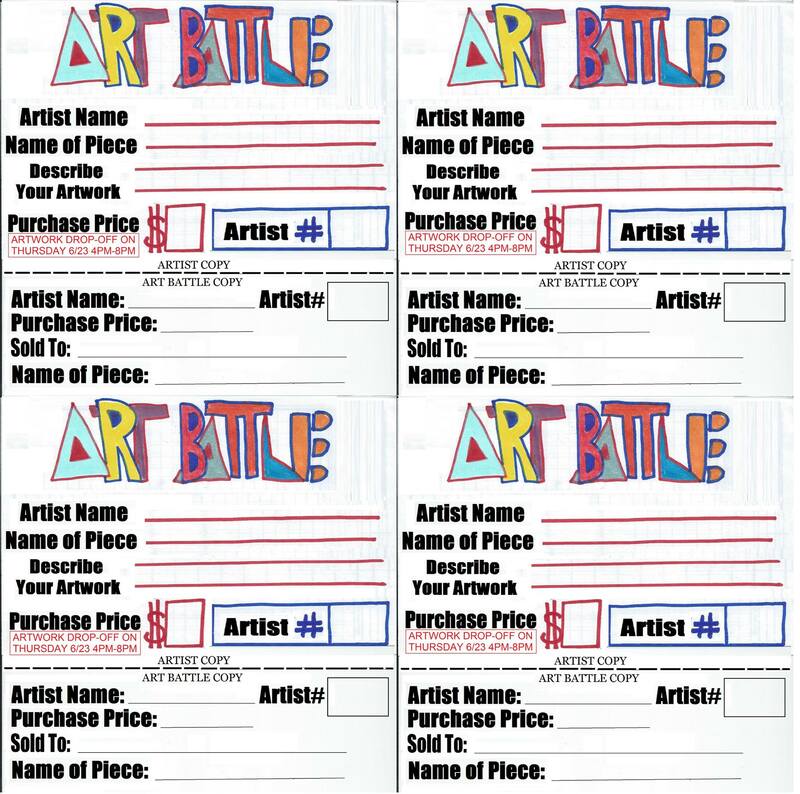 Each ART ENTRY requires it’s own ART ENTRY FORM and the fee of $10/entry. We will have food, drinks and prizes for this judged ART BATTLE!!! Also a very special guest DJ! Spread the word and get started on your ART ENTRY now!